Look at this fiery fruit! 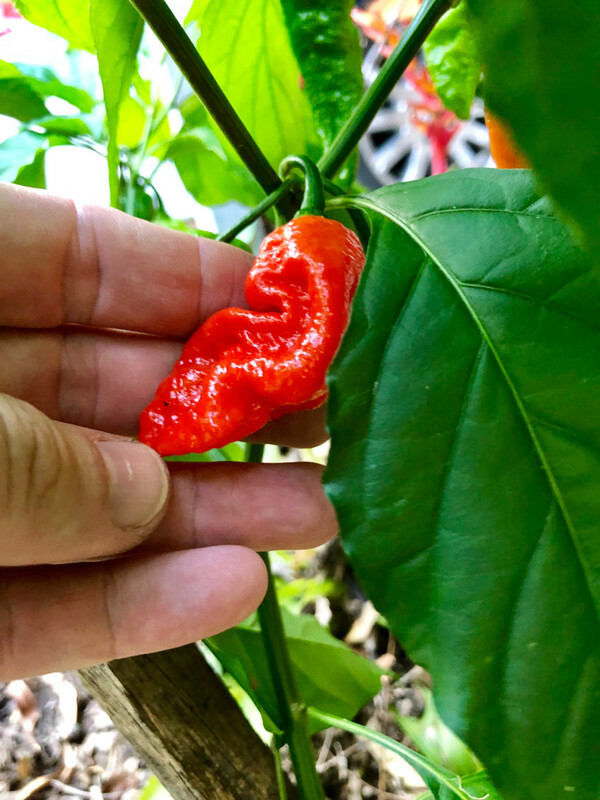 Ghost chilli ripening up nicely. Gonna make a ride share service called Drove. Cause like, past tense of "drive" but also "people are leaving in Droves."